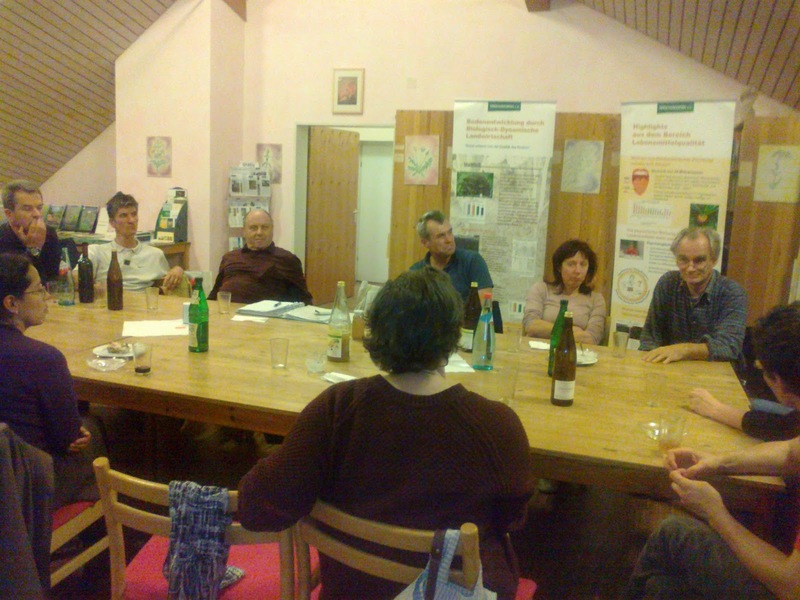 Participants gather together at the evening in “Forschungsring für Biologisch-Dynamische Wirtschaftsweise e.V.” in Darmstadt one of the world oldest institutes for eco farming. 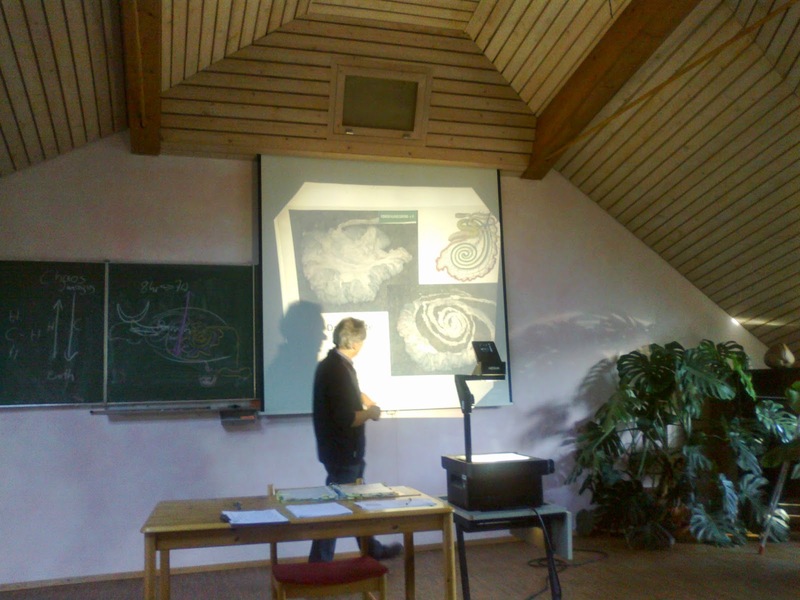 Dr. König introduced the new available literature and he invited participants to taste fresh biodynamic vegetable and food prepared by Matthias. 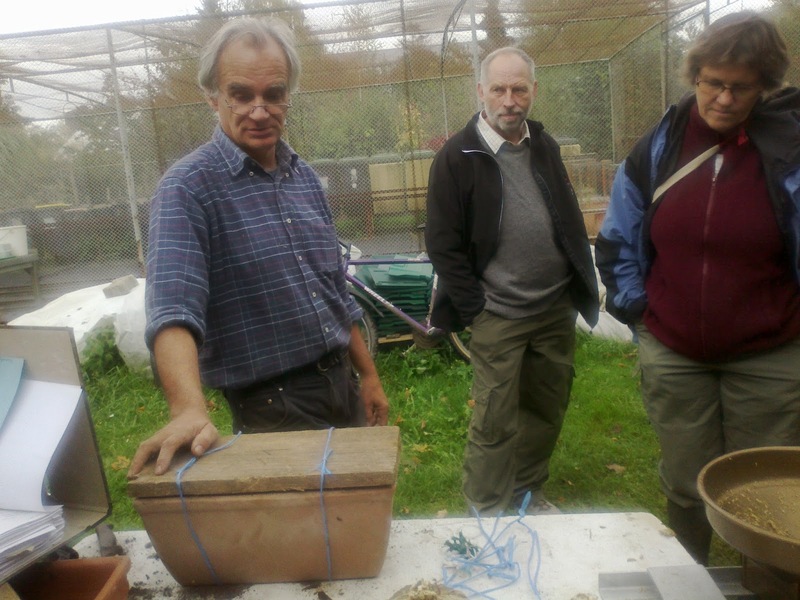 Participants could felt a powerful energy of biodynamic food with excellent taste. All participants gather together on time in morning preparation for work. It was felt excitements and curiosity in the air about announced topic. Uli Johanes Köning had started his introduction in working day with a description of the possible supply of parts from cow in Germany as it is needed for biodynamic preparations. Coming out of the practise it is important that a proper communication with authorities is established and there is a less problem while cow organs are used for scientific purpose. The interesting point that was exposed is also a needed condition for producing biodynamic products with the possibilities of legal organizational forms in each partner’s state. In practice is shown that the BD farmers has very individual approach and that this should be accepted and should be example for the study. 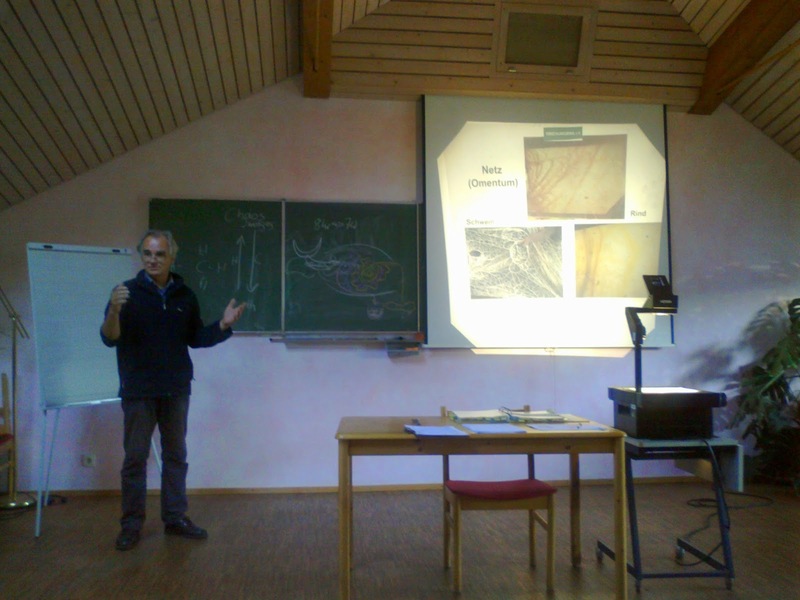 Central theme of the lecture was learning about the purpose of cows for people and about anatomy of cows according to meaning and use in biodynamic farming. Why is horn so female cow so important? 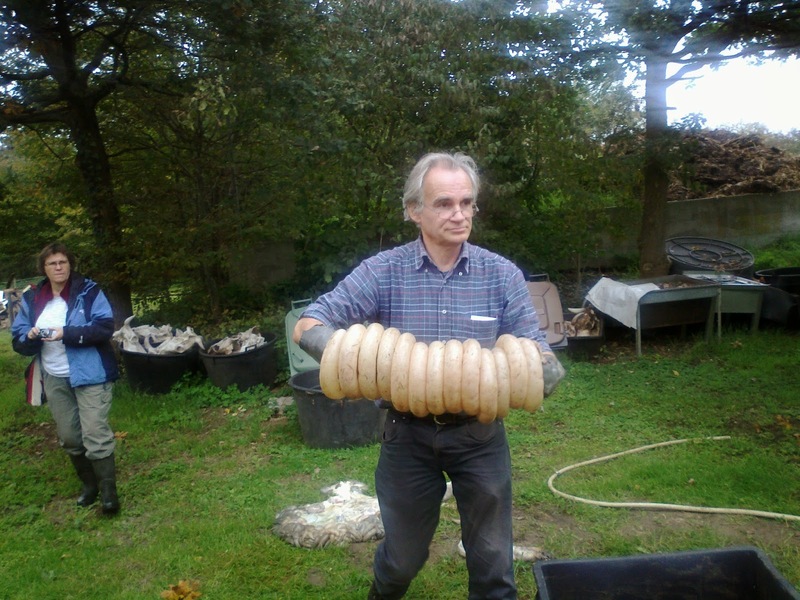 Why and how is intestine useful? What is the function of mesentery? As it is known from history a human being leaves with cow for a long time. The cow has only three daily tasks: eating, processing of food and sleeping this is why very calm and stabile animal with favourable effect on humans. Cow horn serve to cow as body perception while mesentery is common soul connected with cosmos. After some formalities with project papers, participants started with lesson about impact of animals particularly cows in process of producing preparations. Of course, first of all it is necessary to provide all materials and Uli Johanes Köning showed very practically how chamomile flower for preparations No.503 with use simple but very practical tools. Also it is very important to take an experience of which method is suitable in phase of preparing for feeding. Participants can saw the system of falling water with effect like “moving water ether energy” serving to energized preparation No.503. 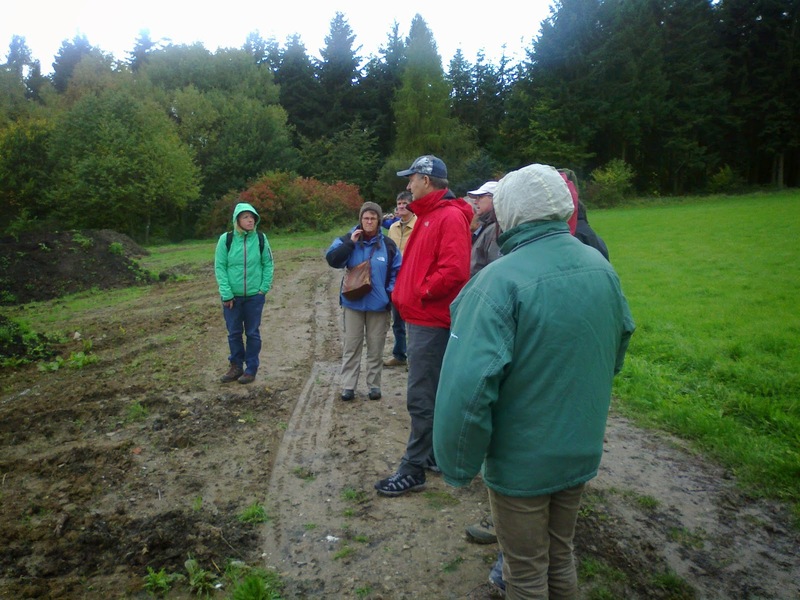 After lunch the participants with restored energy were ready to implementation of next step in biodynamic farming – stirring. ﻿﻿Practic technical solution of “hanging mixing devices” offer an experience of difference between tools and the differences of effort that should be taken to create chaos. All of present persons were invited to observe and feel the trees and also whole place with raising awareness of feelings. Participants moved on informed space and let the feelings to came out; the difference has been detected: in general the perceptions were stronger in imagination and feelings. The final lecture of this day was familiarization with the feeding infrastructure of mural sinks filled with peat and terracotta pots. 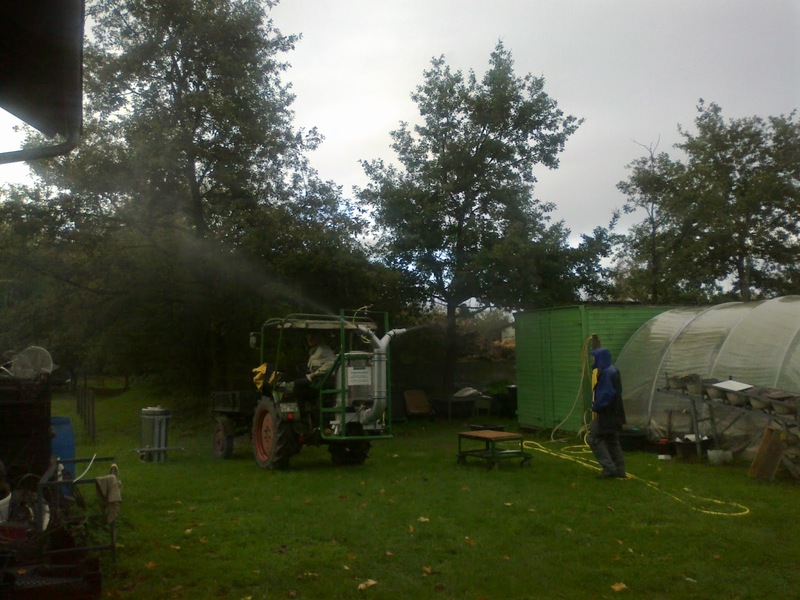 After that the demonstration of spraying began. The working day was continued with discussion and explanation of some daily specificities. The Research Center Geisenheim and the Faculty of Geisenheim, formerly part of the Rhein Main University of Applied Sciences, Wiesbaden, merged on January 1, 2013, to form the newly-created ‘Hochschule Geisenheim University’, the first ‘new type’ of university in Germany. 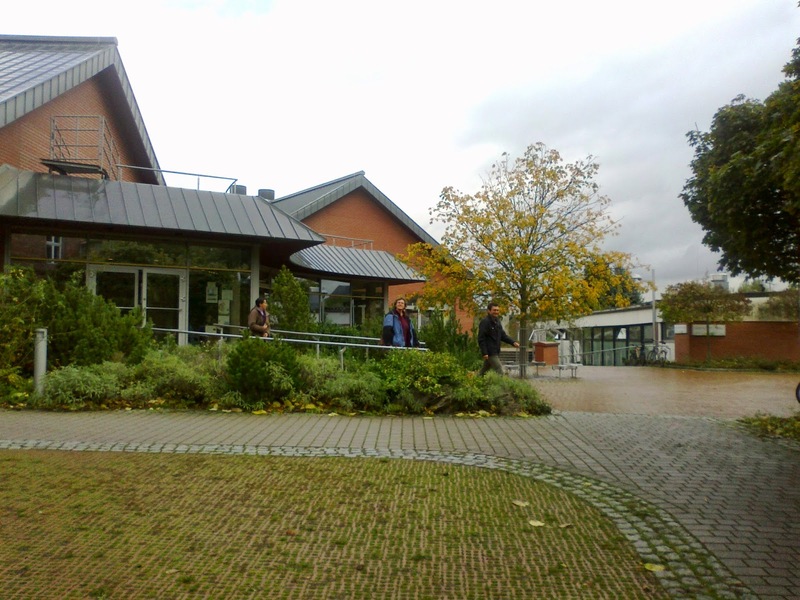 This is a unique institution combining both practice-oriented elements of universities of applied sciences (Fachhochschulen) and the theoretical education and research in master and PhD programs traditionally undertaken in the universities. 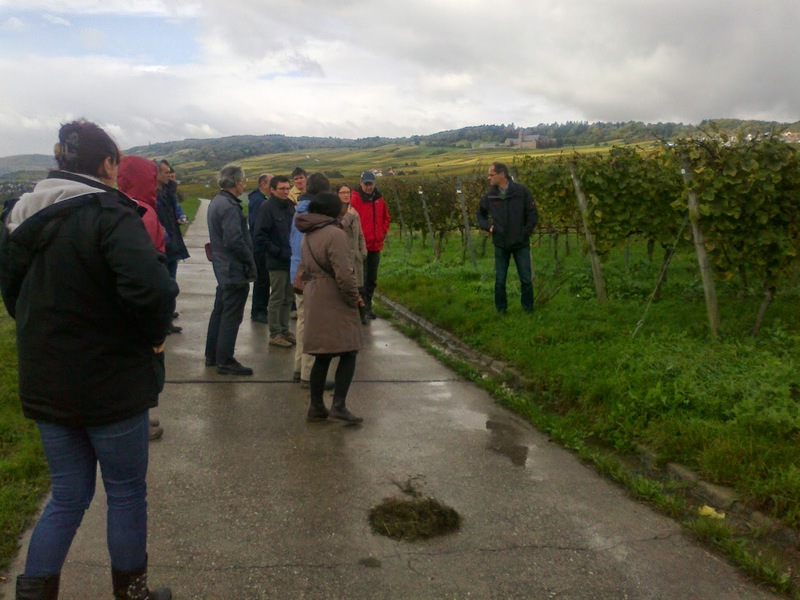 Young female researcher from Research Center Geisenheim present to participants the results of three year research study comparing different method used for cultivation of grapes: conventional, integral, ecological and biodynamic. 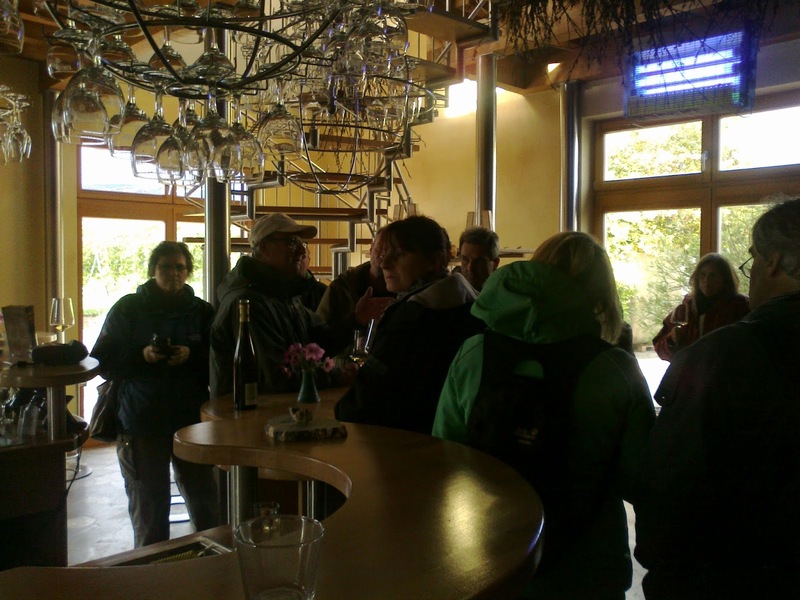 After presentation at the Research Center all group went to the experimental vineyard where was given an additional explanation of research study and participants got answers on theirs questions. The Weingut Peter Jakob Kühn is in Oestrich in the Rheingau. Founded by Jacobus Kühn in 1786, the estate is run by Peter Jakob and Angela Kühn. 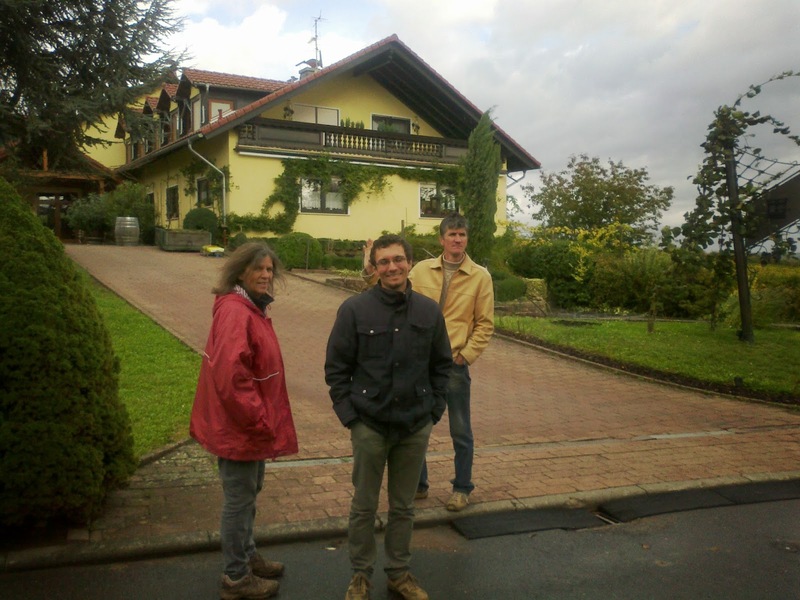 They are the eleventh generation of winemakers in the Kühn family. The Kühns own 20 hectares of vineyard in the Doosberg and Lenchen (Oestrich), St. Nikolaus (Mittelheim), as well as in the Hendelberg and Jungfer (Hallgarten). The vineyards are planted on natural south-facing slopes along the Right Bank of the Rhein at an altitude of 70 meters, and are well protected against the cool borealis by the foothills of the Taunus Mountains. Riesling accounts for 90%, with the rest accounted for by Spaetburgunder. Their vine estate was founded around the start of the 18th century and remains a family business to this day. Run in the 11th generation by Peter Jakob and Angela Kühn and their three children already work alongside parents, continuing the family tradition. Only by maintaining their philosophy and through the knowledge that quality and sustainability are inseparable, has their winery survived through the centuries. 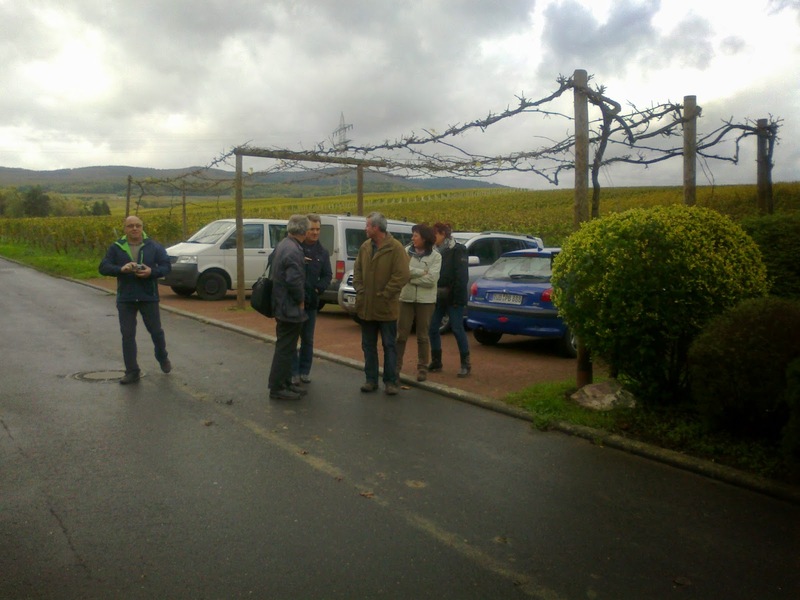 On this basis they decided in 2004, to achieve a certification as ecological, biodynamic winery. 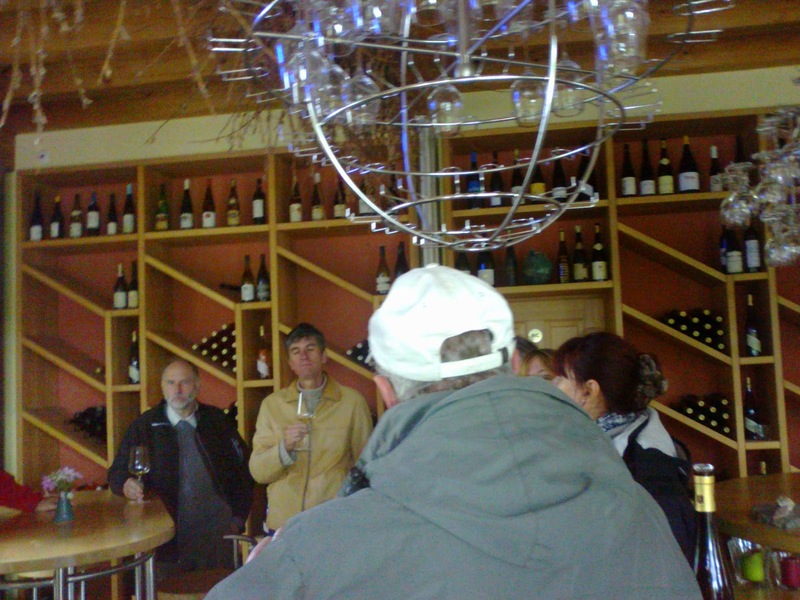 The expectation they set in their own quality also manifests itself in their memberships in the VDP (Prädikat Wine Estates), Demeter, the association for organic agriculture based on anthroposophical principles, and the association of international biodynamical wineries : “La Renaissance des Appellations“. Nothing determines the future quality of the wine as thoroughly as the work processes that take place in the vineyards throughout the year. The most important task of these processes is, to strengthen the vines through their biodynamical work in such a way, so that they can grow healthily and stress-free. 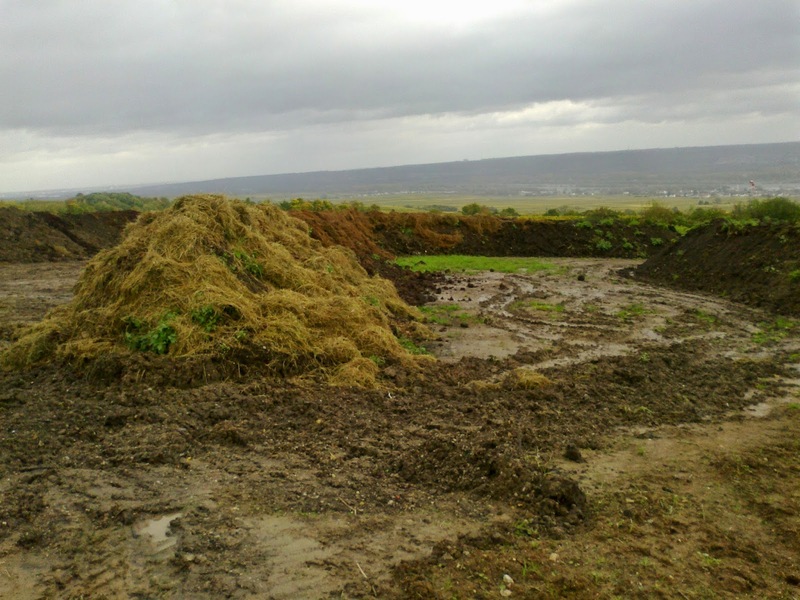 The basis for this is provided by eco-dynamic agriculture: plentiful varieties of cover crops create a healthy environment, organic compost enriches and structures the soil, and herbal extracts strengthen the vines. Additionally their workflow is organized according to natural biorhythms. That is as sound as a strong heartbeat and maintains the living balance of these vineyards. For lively wines can only emerge from vital vines – and that you can experience in the flavour. On their estate they work wholeheartedly and hands-on, on the manufacture of natural, unpolluted wines of top quality. Ranging from the classical ripening process in the “Rheingauer Halbstück” (600 litre barrel) to wines that mature in amphoras – our range is wide. All theirs wines ferment spontaneously on their own yeast and are given plenty of time to unfold their natural character. The wide spread practice to speed up fermentation artificially, or to „correct“ wines through a variety of means, is inconceivable for them. They count on a selectively harvested, healthy grape base and total calm during the maturing process. 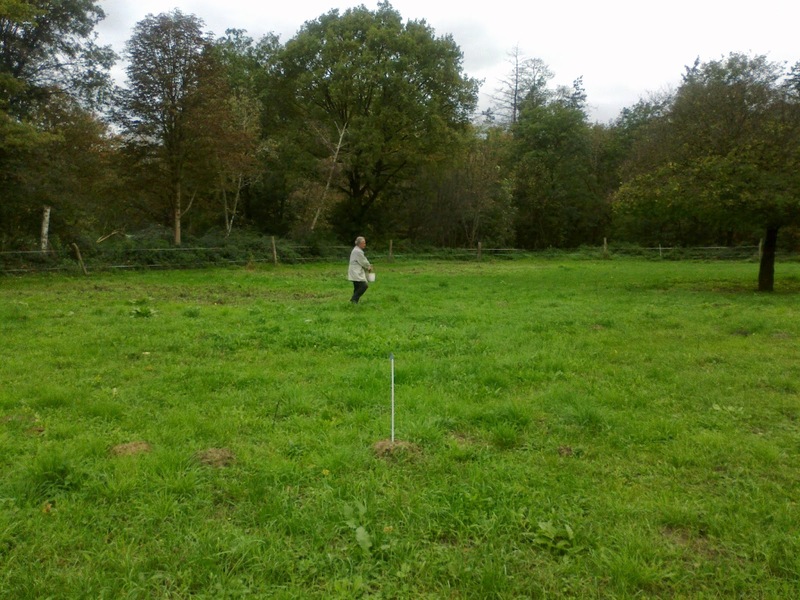 For reach a goal of quality they prepare humus by themselves on biodynamic method.